There were 36 people on the camp, including parents and siblings, plus Dominic and Simon from Active Therapy. 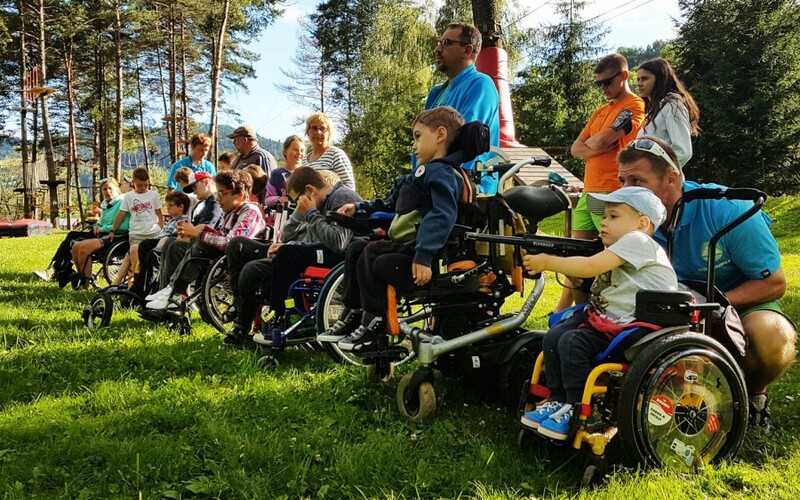 There were 12 kids on the camp with a variety of conditions including: Spina Bifida, Muscular Dystrophy, Cerebral Palsy, Spinal injury, Brain Injury and Learning Difficulties. I traveled to the Polish resort of Białka Tatrzańska, flying from Geneva to Krakow. 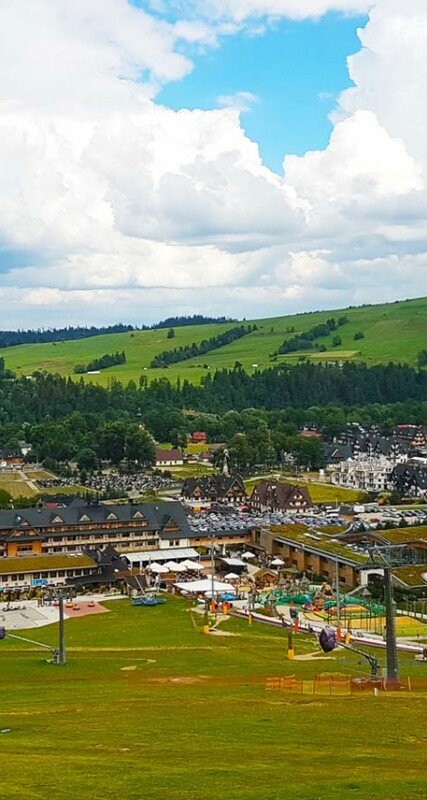 The resort is only a short transfer of 1 hour and 30 minutes from Krakow. I arrived two days in to the camp so the group had already taken part in sailing and kayaking activities. A plane ride was scheduled for the second day but was cancelled due to bad weather. So Dominic and Simon put on other indoor activities, including a boxing session. 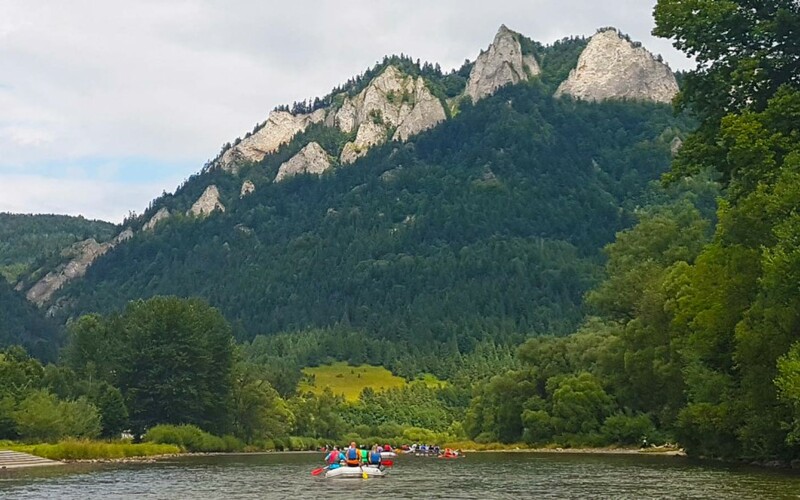 The first activity I took part in was a river rafting trip through a beautiful national park close to the Slovakian border. We travelled down the river for about 20km over 3 hours. For the most part the river was very gentle which made for a relaxing experience. There were a few parts of white water rapids which added a bit of excitement. The whole group took part, making it a good family experience. The kids were able to sit safely inside the rafts and each raft had a guide from the rafting company to help us steer through the trickier bits of the river and get us afloat again when we became grounded on some rocks. At the end of the rafting trip was a high rope course where the afternoon activities would take place. 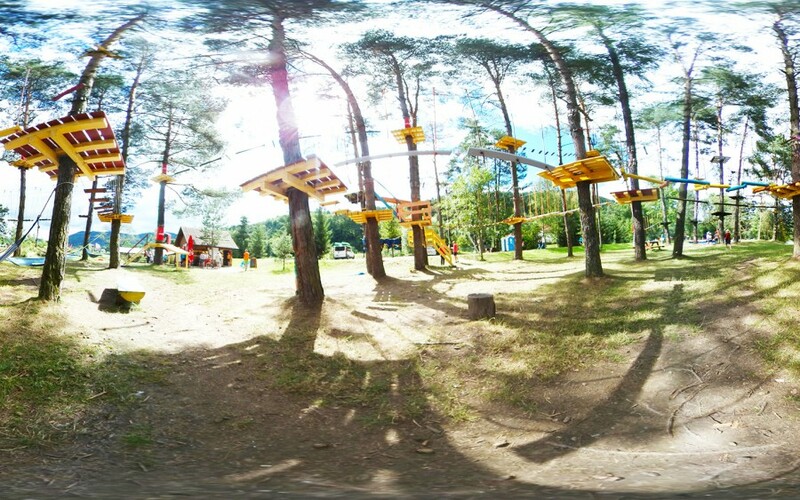 The rope course had different levels and obstacles to suit different levels of abilities. Dominic had devised a hoist system to lift the kids with more severe conditions and reduced mobility to have a go on the zip wire. The rope course had something to offer everyone in the group. 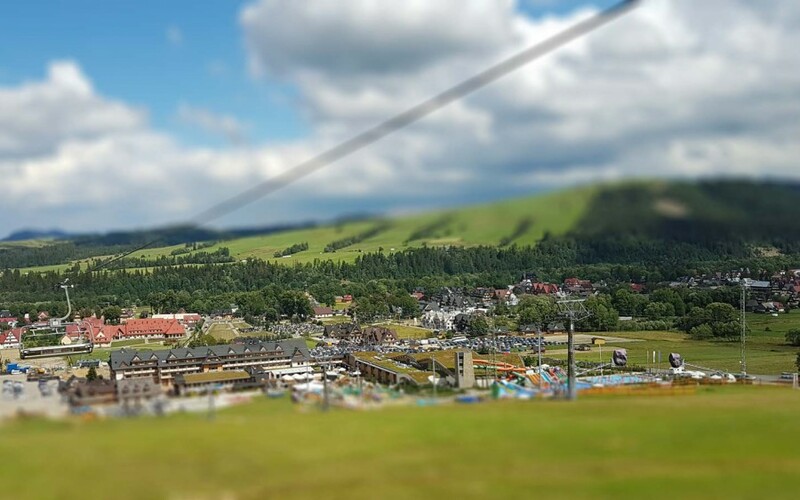 The parents and siblings could try more adventurous sections of the course and have a go on a big, fast zip wire across the river. The last activity of the day was a quick session of shooting paintball guns at a target. It was good end to a long day of activities. The next days activities were cycling in the morning and a plane ride in the afternoon, which had been rescheduled from earlier in the week. Active Therapy have an impressive fleet of hand cycles. 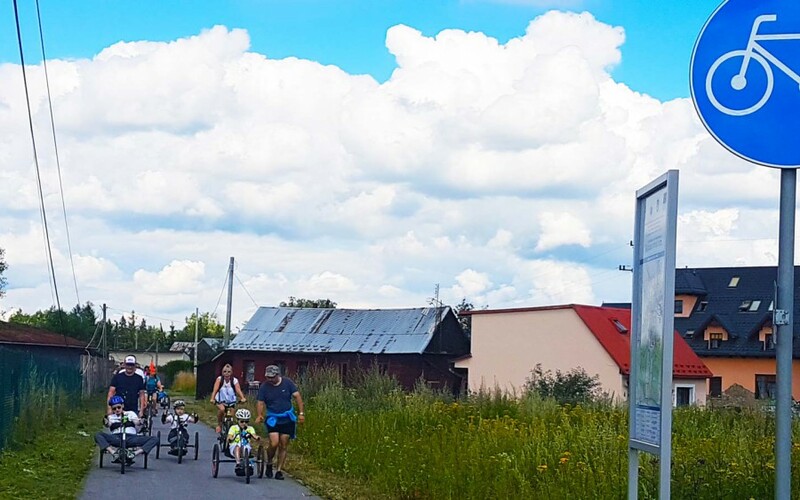 They can accommodate any kind of condition with piloted tandem bikes for more severe conditions as well as special adaptations, for example hand grips that attach to the handlebars allowing someone with no hand grip strength to operate the bike. The cycling took place on a cycle path built on an old railway line, which was a nice setting through a forest. 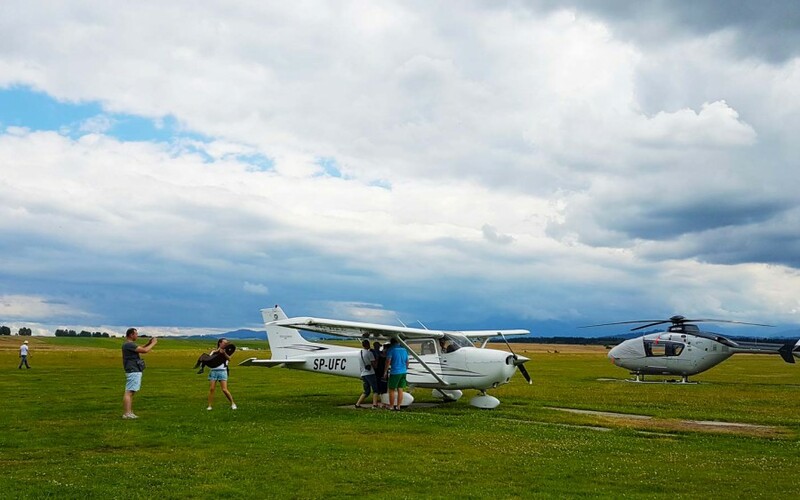 After returning from cycling it was a short drive to an airfield for plane rides. Everyone got to have a short flight of about 20 minutes. This activity stood out as being quite a unique and different experience, something that not many of the kids had experienced before. It was also well suited to every kind of condition and all the families got to experience it together. The last activity of the week was scuba diving. This activity took place in a swimming pool a short drive away from the hotel. Everyone took it in turns to have a go. The rest of the group enjoyed swimming while they waited for their turn. A few of the kids struggled at first with the breathing and unnatural sensation of the breathing apparatus being in their mouth. Dominic explained that the activity was just an introduction and the next time they try they will feel more confident having tried it once.